As we do retirement planning for high-income professionals, one of the biggest problems we see is a heavy concentration of savings in tax-deferred retirement accounts, specifically, pre-tax Traditional 401(k)s and IRAs. While the tax deduction on a contribution to a 401(k) is a great benefit during your peak earning years, if too much is saved in pre-tax accounts, it can lead to a problem in retirement we call, "The RMD Tax Bomb". The "RMD Tax Bomb" is when the RMD you're required to distribute exceeds what you actually need to distribute to cover expenses in retirement. 1) The extra income you're forced to take creates a domino effect. It increases your overall taxable income, which could increase your marginal tax rate, which could then lead to an increase in your capital gains tax rate. In addition, it could lead to higher Medicare premiums and a larger percentage of your social security income that is taxable. 2) It forces you to halt tax-deferred growth by selling investments that are compounding without any tax drag. 3) It leaves you with the decision to either spend the money (when you didn't need it in the first place) or invest it in a less tax-efficient account (such as a taxable brokerage account). Since pre-tax retirement accounts are the only accounts subject to RMDs, this problem can be avoided by diversifying your savings into different account types. More specifically, you can diversify into three different buckets: Pre-tax retirement accounts, after-tax retirement accounts (Roth), and taxable accounts. The amount of savings you allocate to each of these three account types or "buckets" will of course depend on your unique situation, but in just about every case, we find that it's beneficial to have some type of allocation to all three. 1) They are saving for retirement under the false assumption that since they are in a high-tax bracket now, they should only save in pre-tax accounts. For more on that see Deciding Between a Traditional or Roth 401(k). 2) They don't have access to a Roth 401(k) and make too much money to contribute to a Roth IRA. We seem to run into the second scenario more than the first. High-income earners don't have access to an employer-sponsored Roth 401(k), and/or they make too much money to contribute directly to a Roth IRA. In 2018, in order to make a full contribution to a Roth IRA your Modified Adjusted Gross Income must be less than $189,000 if you file Married Filing Jointly or $120,000 if you file Single. Since our high-income earners and dual-income usually make well above those limits they are right in assuming that they're not allowed to make direct contributions to a Roth IRA, however, they may be eligible to contribute indirectly through a Backdoor Roth IRA Contribution. Step 1: Make a maximum contribution to a Traditional IRA ($5,500 if <50 years old, $6,500 if >50 years old). The contribution you make to the Traditional IRA, by design, will be a non-deductible contribution. Since you’re over the income limits to deduct the contribution ($121k if MFJ & $73k if Single) you can withdraw it or convert it tax and penalty free at anytime. Make sure to not invest this contribution and to keep it in cash. Step 2: Convert the non-deductible Traditional IRA contribution to your Roth IRA. In 2010, Congress removed the income limits that stipulated who could perform a Roth IRA Conversion. Since you’re converting a non-deductible Traditional IRA to a Roth IRA, no taxes are due and you’ve effectively made a maximum contribution to your Roth IRA. At this point you can invest the funds and all the subsequent growth is tax-free (assuming you make qualified withdrawals). Step 3: Fill out form 8606 when you file your taxes. Form 8606, Nondeductible IRAs, tracks your non-deductible contributions, distributions, and conversions. It’s imperative that this form is filled out correctly so you don’t accidentally pay taxes on the conversion. Whether you fill it out yourself, do it on Turbo Tax, or hire a professional, the end result should be a $0 on Line 18 of the form, Taxable Amount. Assume you have a Traditional IRA with a balance of $50,000 that was funded entirely with deductible contributions. This year you decide you want to do a Backdoor Roth IRA contribution so you make a non-deductible $5,500 to the IRA, bringing the total balance to $55,500. 90% of the IRA is pre-tax ($50,000/$55,500) while only 10% is after-tax ($5,500/$55,500). When you convert your $5,500 from your Traditional IRA to your Roth IRA 90% of the conversion will be taxable, which turns out to be $4,950. The remaining 10%, $550 will be a tax-free conversion. In this case, the entire purpose of a Backdoor Roth IRA contribution is defeated, since the majority of the conversion becomes taxable. Fortunately, there is a way around this. If you want to do a Backdoor Roth IRA but you have money saved in pre-tax IRAs you can explore doing a reverse rollover, which potentially allows you to “hide” the pre-tax IRA within a 401(k) account. That technique will be explained in a future article. Step Transaction Doctrine basically says that a series of related steps in a transaction should be taxed based on the overall nature of the transaction. 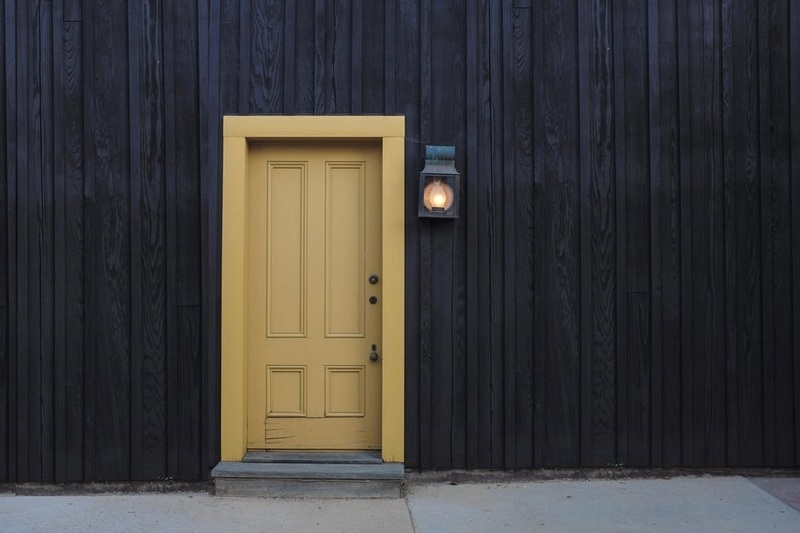 In the case of Backdoor Roth IRA Contributions, the Step Transaction Doctrine could apply since the purpose of contributing to a non-deductible IRA (Step 1) and then converting it to a Roth IRA (Step 2), is to get around the income limits on who can contribute to a Roth IRA. To my knowledge and research, since the Backdoor Roth IRA Contribution strategy began in 2010, the conversion from a non-deductible IRA to a Roth has never been disallowed due to the Step Transaction Doctrine. However, that doesn't mean it couldn't apply in the future. If you are a high-income earner and have a large concentration in pre-tax earnings, Backdoor Roth IRA Contributions are a great way to begin saving in a Roth account. The diversification of account types allows you flexibility to control your taxes in retirement and extend the longevity of the retirement capital you’ve saved. So what do you think? Have you done a Backdoor Roth IRA Contribution before? Did you complete it successfully? If not, what hiccups did you have along the way?